Would the NHS fall apart without private providers? 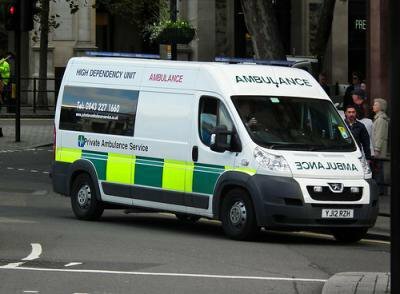 The NHS needs private provision like ambulances, but needs to regulate them better, suggests a voice from the private sector. The idea of running a private ambulance company occurred to me thanks to my disgruntled father, who after 30 years’ frontline service as an NHS Ambulance Technician, quit his job so we could start the business. Our business is simple. We are paid by NHS Trusts to ship patients from hospital to hospital, appointment to appointment. It’s the world of routine transportation and it’s a slow grind, but a fine market for aspiring entrepreneurs, especially those with knowledge of the market. Those who know the NHS Ambulance Trusts are failing, for instance. Those who know that without private ambulance companies, the entire NHS patient transport system would grind to a halt. The first private ambulance company sprang into existence just over 40 years ago, though it took a few years before the NHS would accept them. They were met with animosity and distrust, and seen as unprofessional. The public sector’s perception of the private as an unruly and unwanted infestation was - and is - prevalent, and not altogether without reason. The private ambulance sector might be an integral, even indispensible service to the NHS, but it is and always has been flawed. Weak regulation means it’s too easy for some to cut corners. The regulators the Care Quality Commission (CQC) no doubt meet their quotas, but who sets their agenda? Who regulates the regulator? On average, private ambulance companies are spot-checked once every eighteen months, with inspections sometimes lasting no more than a few hours. And like Ofsted inspections, they come with prior notice. The mismanagement of private ambulance companies by public regulatory bodies breeds a lack of quality. It’s been so since the eighties. Though business continues as usual, the blackened reputation of private firms fuels the public-private rift. The rift will never disappear, but as the NHS and private sector move closer together, with mergers and subcontracting on the rise, better working relationships seems essential. I spoke to Nigel Gardner, one of the country’s first private ambulance bosses. He started Ambukare in 1984 with two others, Martin Claxton and Jeff Barnett. His business snowballed quickly and informally. No paperwork, no CQC, no fiery hoops; they were up and running within a week, working mainly for private hospitals. It wasn’t until 1988 – four years after starting the company – that Gardner transferred his first NHS patient. Gardner had served as an NHS ambulance man for 20 years before going private, and when the Ambulance Service went on strike in 1988, he was waiting in the wings. So what incentive was there to provide a quality service? Gardner’s corner-shop spirit epitomises the essence of small business. But his is an isolated case, as much then as now. Gardner gave a more accurate portrayal of the norm with a short tale about Richard Sage, a notorious conman in the eighties and nineties. Whilst working as a driver for an undertaker’s, Sage decided to set up his own private ambulance firm. He did it convincingly too, embracing the much-revered work-sharing ethic. He would take jobs from hospitals, demand payment up front, and pass the jobs on to other companies. One of the companies was Ambukare. Gardner received a call from an unfamiliar company, Inter County, but obliged the request all the same. He then had a lengthy period of chasing payment. The undertaker’s firm hadn’t seen Sage for some time. Nor had any of his clients. Eventually, Gardner decided to ring the police, who it turns out were looking for him too. He was wanted for various acts of fraud. Gardner’s account added another to the list. The CID tracked him down in Spain. It’s frightening how little there is to stop elderly patients being shipped home post-operation in hearses by private companies. It’s why trade unionists GMB were out rallying in Brighton on November 2. They see problems with private ambulance companies, they see subcontracting on the rise, and they want something done about it. Dave Skidmore is GMB’s representative for South East Coast Ambulance Service. He’s served 13 years as an NHS Ambulance Technician. He kindly gave me an hour of his time to quiz him on small private ambulance firms. He sounded despondent at times. An estimated £2.5 billion worth of contracts emerged in the four months after April since new competition regulations were passed. The regulation encourages Trusts to outsource and subcontract, based largely on the theory that competition promotes great quality and better service. The NHS is under threat like never before. I remind him of the CQC, whose purpose it is to regulate the private ambulance sector. That he knew very little about them speaks volumes. He said the NHS needs to be more accountable, which he agreed should cover the CQC, whose lack of accountability means private companies cut corners. It’s difficult to imagine a trade unionist taking any other stance than this. Likewise, it’s difficult to imagine Gardner varying in opinion either. That private ambulance companies are plugging the gap is the reality. It's old news to Skidmore, but is something he says the public are being kept in the dark about. With greater awareness, he says, the small players have a better chance of fighting off the big boys. At present, though, there is a gap in the market, and no matter what flaws persist or what cherry picking of contracts; there is room for two here.